All is set for Queen Elizabeth II’s Diamond Jubilee celebrations, starting June 2. More than 6,500 roads will close, twice the figure during the Royal Wedding last year. Although the more parties will mark the festivities on June 3, the country will have two more days June 4 and 5 to mark Queen Elizabeth II 60th year on the throne. Highlighting the street festivities is a vegetarian party for 500 organized by the Sikh Cultural Association of Preston. More than 189 permissions have been requested across the West Midlands, 65 of these for parties in Brighton and Hove alone. 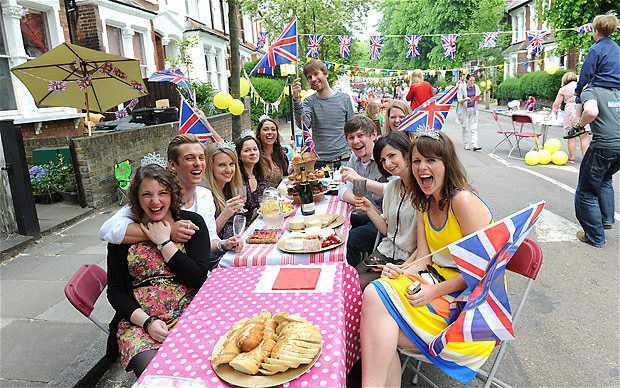 It is projected that the Diamond Jubilee celebrations are set to eclipse the Coronation’s some 59 years ago.